“You gotta get the girls to Procter,” my priest Jason Leo told me when we started attending Calvary Episcopal Church fourteen years ago. “They’re gonna love it.” Hmmm, I thought. Have you met my girls? If one of them loves it, there’s a pretty solid chance that at least one of them will NOT love it. All three of his kids loved Procter Camp. All three of mine didn’t. Nia, my oldest, LOVED going to Procter for any reason – summer camp, winter weekend retreats – if someone said, “You want to go to Procter?” she started mentally packing her bag. She enjoyed the activities, the songs, the fellowship – pretty much everything about Procter sounded great to Nia. After participating in summer camp until she aged out, she surprised no one by becoming a counselor. Families rejoiced that they could leave their children for a week of no contact knowing that Nia was one of the leaders their kids would grow to know and trust. She had an incredible reputation as a counselor and for good reason. 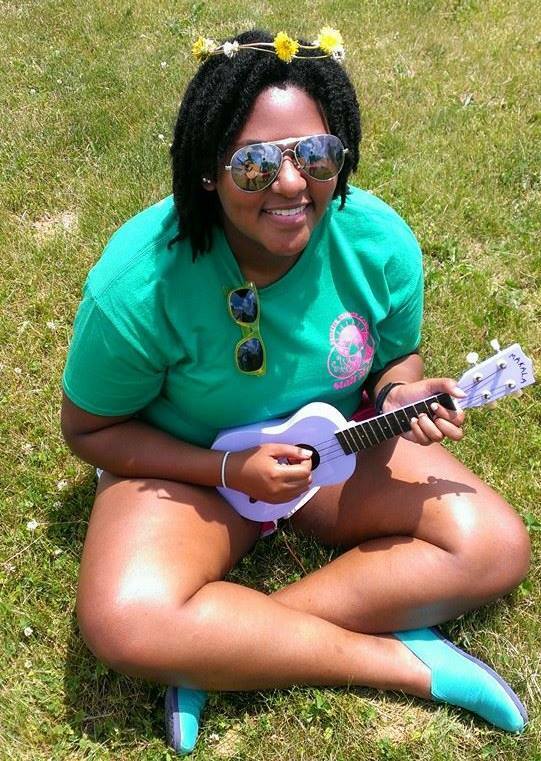 She worked hard to make the experience the same beautiful, meaningful experience she’d had as a camper. If you’ve read any of my previous posts, you’ve met my daughter Kaia. She and Nia are opposites in many ways, mainly by Kaia’s choice. If Nia goes left, Kaia goes up. Sometimes Kaia chose a different path for the sake of being different. Sometimes, her glass half empty personality wins the day. I can’t be sure exactly why Kaia didn’t want to go to Procter. I just know that she grew to dislike it more and more with each passing year. “No, that’s plenty,” I replied. “I get the idea.” Trust me; she could have gone on. My youngest, Jaiya, is generally an easy-going, happy kid who gets along with most everyone and adapts well to most situations, including summer camp. She can take it or leave it. 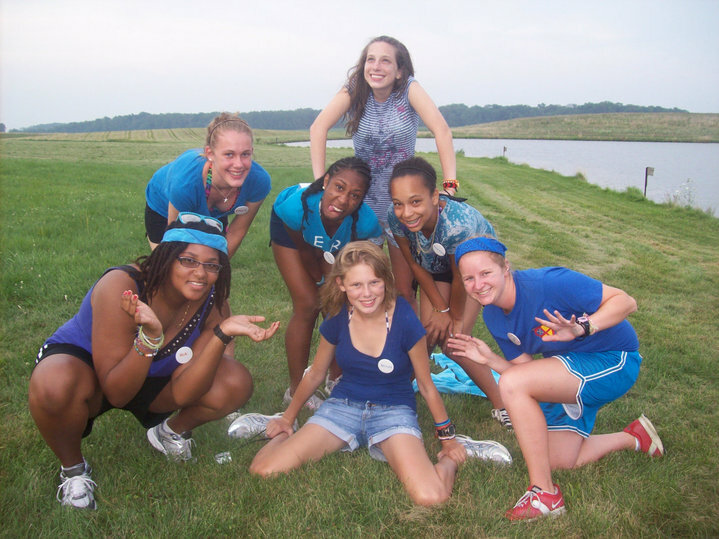 When Nia was a counselor, she and Kaia attended their age-appropriate camp, which wasn’t at the same time. Jaiya had a much more enjoyable time than Kaia did, yet she doesn’t clamor to return each year. If your young person tries church camp and does not like it, take heart. It doesn’t necessarily mean that they don’t like Church, or God, or Jesus, or the Holy Spirit. It just suggests they don’t care to explore or express their faith in this way. Many, many, many children and teens love summer camp the way Nia did, and I’m thrilled that those kids have a wonderful formation experience away from home in the summer. Not all kids are the same, thank God, and not all want to expand their faith experiences at summer camp. That’s okay! Perhaps local vacation Bible school (VBS) is preferable to a week away from home. Search for some in your area – and don’t forget to check other denominations. There’s an amazing VBS in Cincinnati at a Presbyterian church. 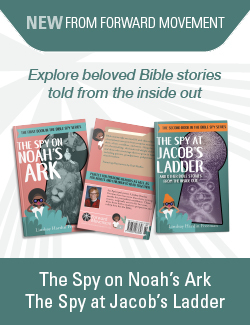 Choose a book of the Bible to read with your kids or teens during summer months. You might choose to learn more about Saints. Whatever your summer faith experiences look like, you can rest assured that your child will continue to grow his or her faith each day, with your help – and with God’s. If your child doesn’t prefer summer camp, be thankful that you have a child willing to let you know their wants and needs around faith. That’s a blessing! What are your summer formation plans for your children? How do they feel about those plans? I hear you, Pam! The only way my girls would go was the fact that their sister was their counselor. Before and since it’s been a hard sell. I’m glad many kids enjoy it, but I have to find formation alternatives. I was so happy to read this! My girls are younger (not quite ready for overnight camp), but we receive similar feedback on VBS. Some are really into it, others not as much. It was wonderful to read and be reminded that we all experience God differently, and that extends to our children as well. Thanks for your feedback! Yes, you are not alone. And as an aside, I’m not a fan of that experience either! Some folks love family camp with their kids… I’m not one of those folks! I’m thankful a family friend would take my girls as her extended family. It takes a village.